I first heard of Robin Williams’ untimely death thanks to Facebook. My wife Melody was scrolling through her newsfeed when she let out a gasp of disbelief and exclaimed, “Robin Williams died? !” My immediate thought was, “That’s fake.” Celebrity death hoaxes are common, after all. On Facebook alone, I’ve learned of the Rock’s death while filming Fast and Furious 7. I’ve read of Sylvester Stallone’s demise in a snowboarding accident. And I’ve heard that Miley Cyrus took her own life. Of course, none of these death stories are true. But I found out very quickly that Robin Williams’ death story was. As the world began to grieve, the gruesome details began to emerge. The Marin County, California Police Department held a press conference in which they offered up details – perhaps, too many details – on Williams’ demise. Whatever the gory specifics might be, the overarching cause of death is tragically clear. Robin Williams died by suicide. Just the word makes people shudder. And ponder. And question. There are two questions that people often ask me whenever an individual – or, in the case of Robin Williams, a culture – is confronted by the harsh realities of suicide. The first is an explicitly Christian question while the second is more generally transcendent. The short answer to this question is, simply, “yes.” From a theological perspective, all of us commit what I call “slow-motion suicide.” Scripture is clear that “the wages of sin is death” (Romans 6:23). Do we know this? Yes. Do we still sin intentionally and willingly? Yes. Thus, we’re killing ourselves with sin. The only difference between what we do to ourselves and what Robin Williams did last Sunday evening is the speed with which he did it. He took his life quickly. We take our lives bit-by-bit, sin-by-sin. If the person who takes his life in an instant can’t be saved, neither can the person who takes his life over decades. News of a suicide, then, is never an opportunity for judgment, but a call to introspection. I should add that, when Jesus speaks of His forgiveness, He never singles out suicide as some sort of an unforgivable sin. Jesus declares, “I tell you the truth, all the sins and blasphemies of men will be forgiven them” (Mark 3:28). How many sins does the word “all” include? All of them. Even suicide. Thus, a person who takes his own life can be forgiven by Jesus and saved by Jesus just as well as any other sinner can. If you want to know more about suicide from a theological perspective, you can check out a blog I wrote a couple of years ago here. Second, people ask me, “Why?” Why would a person who had so much going for him snuff out his life so recklessly? I have come to understand that the question of “why,” when it comes to suicide, has no answer – mainly because the suicidal person himself cannot answer the question. The darkness and confusion that surrounds a person when he takes his own life is so deep that genuine reasoning falters under the crushing weight of depression. So where does all this leave us? Allow me to offer two parting thoughts. First, a thought to those contemplating suicide: suicide is a lie of Satan. Satan entices people into suicide by making promises to “free you” or “fix you.” But he wants no such thing for you. He only wants to end you. This is why he seeks to either kill us slowly by enticing us into sin after sin or, if he can, he’ll be delighted to kill us quickly at the bottom of the barrel of a gun or by the brink of a blade. So, if you are contemplating suicide, remember: everything it promises is a lie. Get help from someone who will tell you the truth. Second, a thought to those who have lost loved ones to suicide: life is the truth of our God. God is the master of snatching life out of the jaws of death. He did it with His Son. And He can do it with those who take their own lives. Indeed, on the Last Day, He will do it with all who trust in Him. Wherever Satan peddles his lies, God crushes them with His truth. And His truth is this: by faith in Christ, your loved one is not beyond hope. Suicidal sinners can be saved too. I’m looking forward to seeing more than a few of them in heaven. Entry filed under: Current Trends. Tags: Celebrity, Christianity, Death, Faith, Forgiveness, Hope, Marin County, Miley Cyrus, Robin Williams, Salvation, Suicide, Sylvester Stallone, The Rock. This is a great post. I will admit, I am not particularly religious. I have struggled with my faith since I started having really bad mental health problem and many church members began “bashing” me about my suicidal thoughts (and attempts) saying I would go to hell or that I was possessed. I myself do not believe I would go to hell and I do not believe I am possessed – so I began to stray away – sometimes flat out saying I did not believe, although deep down, I always have believed and have been saved. I wish that others could read this and understand it and believe what you wrote as well though. This is a powerful message and thank you for writing it. Well said as always Pastor Zach. 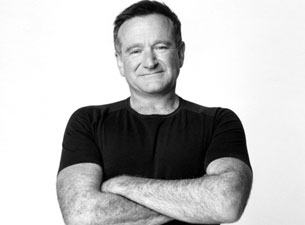 The movie “What Dreams May Come” that Robin was in takes on a greater sadness with his suicide decision. That someone could be so ill with depression to do such a thing is not understandable or thinkable for most of us. However recognizing and getting people who are depressed professional help along with our prayers is the best we can do for them.